Designed by Nicolay Nasoni, an Italian architect, featuring double staircases, pinnacles, and handrails. Positioned in front of a reflecting lake surrounded by sculpted French gardens. The family still lives in the private part of the Palace. 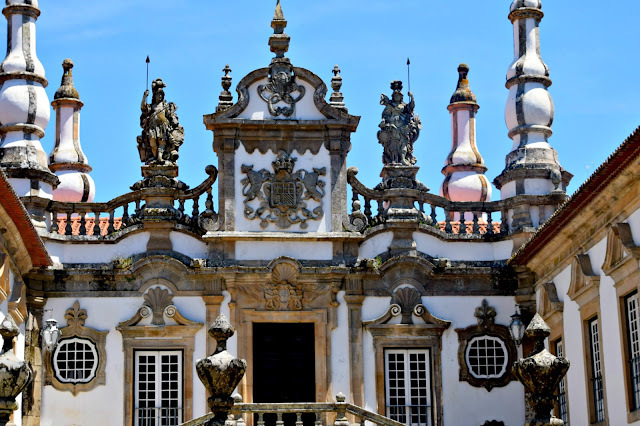 It is considered to be the most beautiful and emblematic Baroque building in Portugal. The Mateus Palace is situated about 2 km from Via Real. This Baroque masterpiece, Mateus Palace, is one of the finest examples of civil architecture in Portugal. 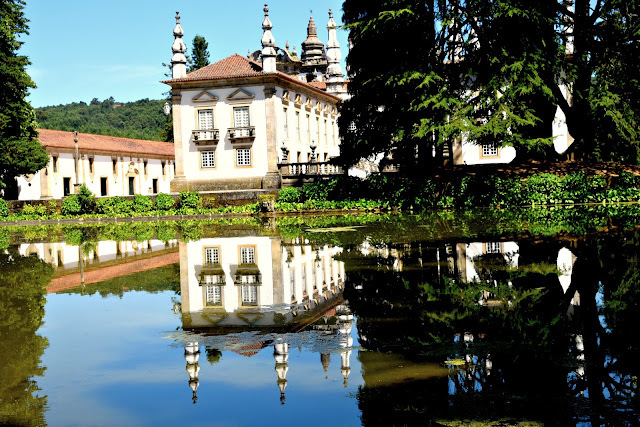 The interior is equally lavish with carved wood ceilings, furniture from the 17th century, silver, ceramics and a library with a remarkable edition of the epic poem Os Lusiadas. The palace is positioned in front of the reflecting lake; surrounded by great French gardens. The family still lives in the private part of the Palace. The palace became popular U.S. when a drawing of the palace appeared on the Mateus rose wine bottle in 1970. 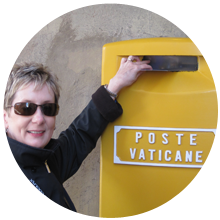 Follow J. Christina through Spain and Portugal in this 2016 series.